It’s that time again! It’s the beginning of April already so I thought I would share with you some of the things and products I have been loving throughout the last months, some fitness related others just life related. First off, can you believe it’s already April? Summer is so close! Kayla Itsines leg workouts, is my first March obsession. I have been adding some of her workouts to my weekly workouts and I have been dying, especially her leg workouts are killer. I wasn’t sure if I would enjoy her workouts so I actually tried her free 1 week workout program. Which I would recommend to anyone! Check it out here. I know we have all heard a lot about Kayla Itsines workout programs, but they might not suit you – so why not use her one week free trial so you can get to know the style of workouts. That’s what I’ve did and I am obsessed with her leg days! I have also been loving my Healthy Chocolate Mousse this month. It so easy to make, takes so little time and tastes delicious. Plus its 100% guilt free. If you don't know yet, check it out here. Definitely been one of my obsessions this month. I mean, who doesn’t love chocolate? In March I received my first ever MAC cosmetics products for my birthday and I have been obsessed with one of them. 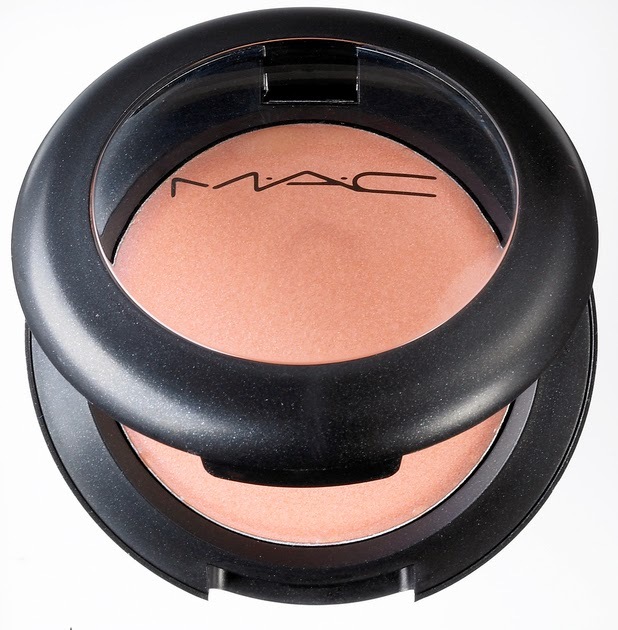 The Cream Colour Base by MAC in the colour Hush. This little pot of creamy colour is gorgeous. I use it as a highlighter and it’s just such a pretty shimmery colour that makes my face glow and just look fresh and healthy. The Tangle Teezer! I cannot believe I haven’t owned one of these sooner! I have longer & thick hair, which I love – but one of the most time consuming aspects of having long hair is trying to brush through it after a shower. It’s nearly impossible and it takes forever. This bright pink plastic brush,the Tangle Teezer makes it so much easier! I don’t know why, or how, but it does. Plus I love the colour of mine – bright pink. These are some of the products/things I have been loving throughout the month of March. What have you been loving? Leave a comment with your favourite thing from last month!